Some of what we Canadians export to the rest of the world properly attracts controversy. Oil, asbestos (until recently) and the train-wreck rock ’n roll stylings of Nickelback are examples. Other Canadian exports arrive less encumbered. Among them are our peerless maple syrup, the Blackberry hand-held device (until recently), the exquisitely dark and emotive music of the late Leonard Cohen and the rich and textured poetic writings of Karen Solie. In 2013, readers in the UK were treated to a proper taste of Karen Solie’s work when Bloodaxe released The Living Option: Selected Poems. The Road in is Not the Same Road Out is her latest offering, and the first Solie title to be published since, with Eiléan Ní Chuilleanáin, she won the Griffin Poetry Prize in 2010. Where ought one begin with Solie’s prickly, and by turns tender and sometimes transgressive, word-craft? The road in is most certainly not the same as the road out of this new volume of strong, urgent and querulous poems. We enter with an Ode that reminds us that “there’s a reason why it’s called the nervous system” and we leave with the first Canadian appearance of ‘The Living Option,’ the poem that gave the 2013 Bloodaxe selection its name. There, Solie offers a cri de coeur which historians may eventually recognise as the blazon for our times: “The market writes its autobiography/on minds and bodies, my own/and those of my siblings./Are we not innocent with respect to it?” Solie’s rhetorical question and its cautious concession of self-doubt suggests that, as we watch the gains of small-l liberalism slip slowly from our collective grasp, she considers us all as being complicit, through inertia or perhaps more, in our present predicament. Other commentators have observed that Solie’s gifts are revealed in, among other ways, the skilful and nuanced manner in which she combines highly lyrical language with the flint and grit of the demotic. I concur. Hers is a broad canvas and the articulate but disquieting imagery conjured up by her conflation of high flown diction with the plain talk of the street always manages to both satisfy and unsettle, simultaneously. I was delighted the other day to find a new poem by Solie in the current (Fall, 2016) issue of The Paris Review. It is entitled ‘A Hermit’ and (conveniently for present purposes) it includes a guarded tip of the hat to Caledonia. One part wunderkind, one part enfant terrible, Colin Barrett has taken the literary world by storm. His is one of the brightest new voices in Irish short fiction and when it finally lapped up on the shores of North America in 2015, Young Skins (his first book, published originally in 2013) quickly began to build a following on this side of the Atlantic. Barrett is only 36, yet the accolades for his writing have rained down like manna from the literary heavens in a way generally reserved for more seasoned and experienced authors. Those plaudits include the Guardian First Book Award, the Frank O’Connor International Short Story Award and the Rooney Prize for Irish Literature, to mention only three. 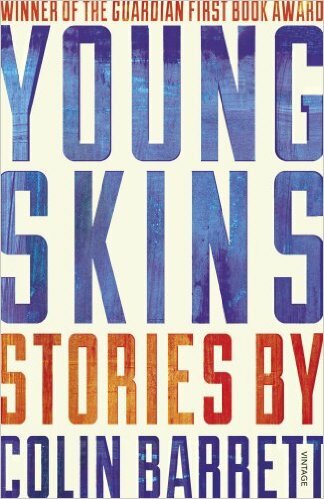 Young Skins reads like a catalogue raisonné of the grief and destruction left behind after the battered and bruised Celtic Tiger, its hour come at last, slouched not “towards Bethlehem to be born” but toward Brussels to be transfused. Barrett’s rich and evocative short stories deftly capture not only the ennui and despair brought on by high unemployment and limited prospects; they also recognise and celebrate the resilience, proud defiance and good humour with which, by turns, those depredations are borne, and sometimes overcome, by at least some feisty Irish youth. ‘The Clancy kid looked Aryan. You know? Fair-haired, blue eyed,’ Tug says. ‘All children look Aryan,’ I say, irritated. This year I decided to re-read MacBeth’s The Colour of Blood. I will confess that the concrete poems toward the end of the slim volume left me as cold as they did the first time around. He’d have been well advised to leave that form in the skilled hands of his countryman, Ian Hamilton Finlay, or in those of Canadians like bp Nichol and bill bissett. But the rest of The Colour of Blood is a tour de force. Never got off the ground? Oh, come on now. This is a poem whose clever syntactical acrobatics and ironic humour lifted me skyward in my twenties when I first read it and I find that it transports me still. I think it would transport many (if only they knew where to find it). He walked on the very edge of the pavement to keep his head in shadow. The black lacquer of his sun-glasses was folded over his two middle fingers. Behind him, he could hear the chock-chock of a girl’s high-heeled shoes. Pausing beneath the brick wall of the Museum on the corner, he looked back at her, disguising the movement under the appearance of consulting his Baedeker. The girl walked past, swaying evenly from her hips in a print dress. He felt the familiar prickling begin. She was French. O, the mesmerising, scintillating detail. Not only does it not clutter or weigh MacBeth’s poetry down, it enlivens it and provides pinpoint focus that makes it seem almost three-dimensional. George MacBeth’s The Colour of Blood rewards re-reading, often. The same can be said of his many other collections, parts of which (we can be thankful) were gathered up into a Selected Poems by the redoubtable Anthony Thwaite in 2003 and published by Enitharmon. Alas, even the Selected Poems is now out of print. Perhaps Susan Musgrave has saved a copy? George MacBeth’s equals among the poets of his time are not easily found and it is to be hoped that his work will one day find its way back onto undergraduate reading lists, into doctoral dissertations, and onto the poetry shelves of bookshops across the world. “The Road In…’ was my Xmas pressie to myself this last year. It is a book I go back to more and more. In a way more distant, colder than her previous books, but bigger in scope than almost (I say that to be on the safe side – I don’t know if it is) any book this last 10? years. 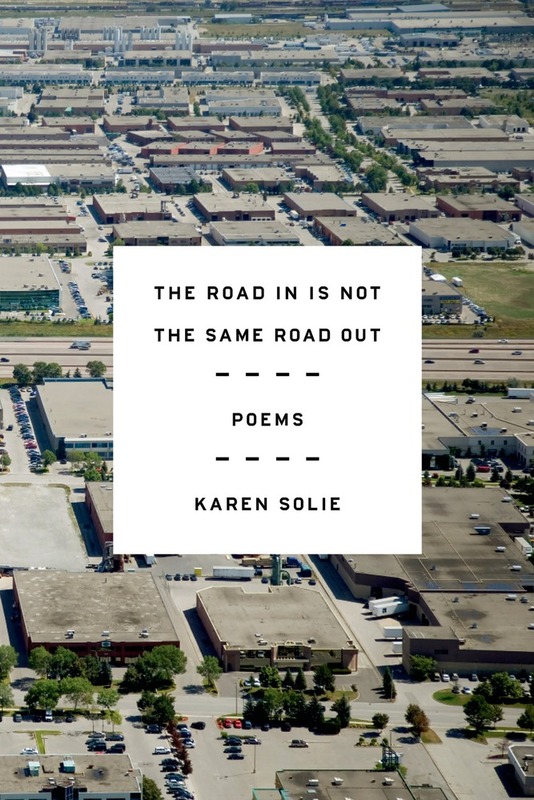 I tried a writeup myself (Karen Solie Redux) but on a more general plain than yours.